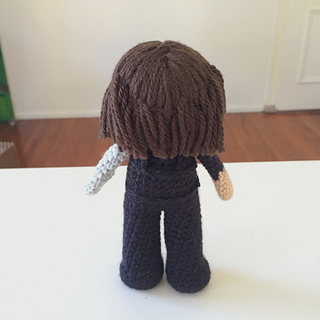 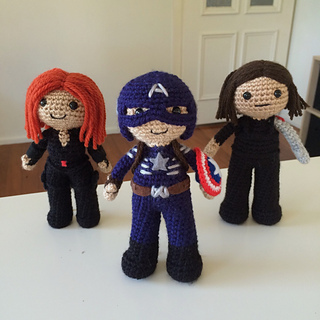 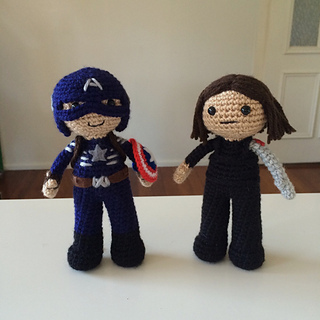 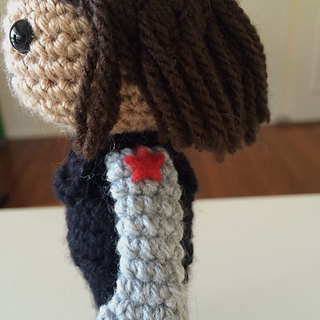 This is a pattern for The Winter Soldier, James Buchanan “Bucky” Barnes amigurumi doll pictured. 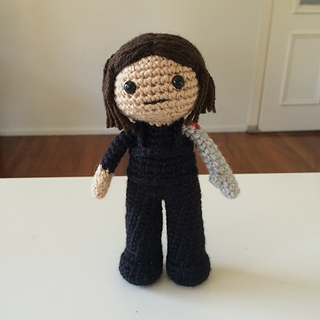 Included is a pdf for the pattern (7 pages) and a link to a pdf of stitches and techniques for beginners. 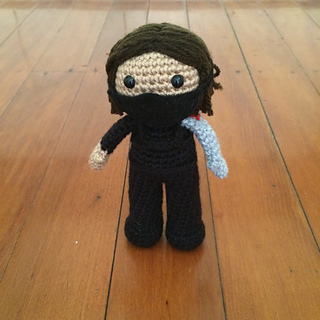 He stands at approximately 6.5 inches tall when finished (~17cm) and his mask is removable.